You can move up the ranks of the Corleone crime family in The Godfather: Blackhand Edition. In the game based on the book and movie, you go from humble beginnings of petty crime and rise to be the most powerful crime lord in all of New York. The Godfather features customizable characters and a persistent gameworld, where your decisions affect how other characters interact with you. Marlon Brando, James Caan, and Robert Duvall return to the franchise to voice characters in the game as well. 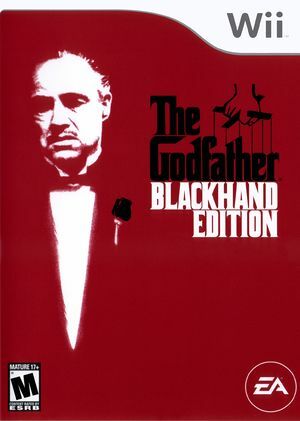 The Godfather: Blackhand Edition uses the VP6 video codec, common in Electronic Arts' titles, causing it's videos to have vertical line artifacts and other glitches on NVIDIA graphics cards. The Software Render will display VP6 video correctly, but is typically too slow. Prior to 4.0-593 video output was completely scrambled, refer issue 5046. Rendering improved with 4.0-593 but a variety of glitches remain, refer issue 7193. VP6 rendering also reacts poorly to the Force Texture Filtering enhancements (and Anisotropic Filtering on NVIDIA), causing further scrambling. The graph below charts the compatibility with The Godfather: Blackhand Edition since Dolphin's 2.0 release, listing revisions only where a compatibility change occurred. This page was last edited on 23 February 2018, at 16:27.